Following your dreams takes guts, hard work and perseverance. You have to admire someone who goes for it, whether or not they succeed. And if they succeed, it’s all the more impressive – and inspiring. Two books came across my desk this summer via local connections. Emiliano’s Discovery is a first novel by Toronto-based Paula Hurwitz, whose uncle lives in Vancouver. Finding Home is a collection of non-fiction essays by Danita Dubinsky Aziza, whose mother lived here until recently moving to be closer to the family in Winnipeg. Both books were self-published with FriesenPress: Hurwitz’s in 2014, Aziza’s this year. It might be an exaggeration to say that writing a novel was a dream of Hurwitz’s but she went to lengths to make it happen, a fact that can be seen from her acknowledgements. 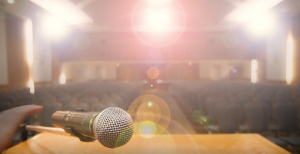 A lawyer by profession, she thanks a University of Toronto introduction to the novel course for giving her “the foundation to write this book,” as well as the Humber School for Writers, and several individuals. The end result is something of which to be proud. Emiliano’s Discovery begins in Russia in 1903. 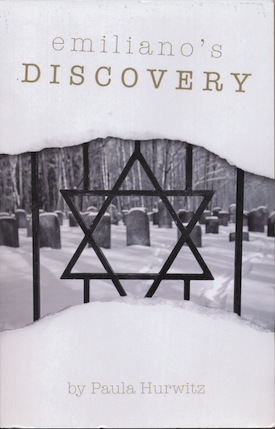 The prologue in which Duvid, Malka and their family in Kishinev encounter the violent pogroms of the time sets the stage for Emiliano’s eventual search for family. It also reminds readers of the precarious world in which Jews seem to continually live. Chapter 1 takes us to Buenos Aires in 1994 and the terrorist bombing of the Asociacion Mutual Israelita Argentina (AMIA). The novel alternates between Emiliano and Naomi, until their paths combine. They do so in Winnipeg, and that is one of the most interesting aspects of this story because the Winnipeg Jewish community actually did encourage Argentine Jews to immigrate to their city, and it’s kind of like getting a peek behind the scenes. Another compelling aspect of the story is the concept of how two families – one in Buenos Aires, the other in Winnipeg – could have ancestors from the same village who ended up in such completely different places. While the novel may wrap up its narratives a little too neatly for some readers, it doesn’t detract from their value. 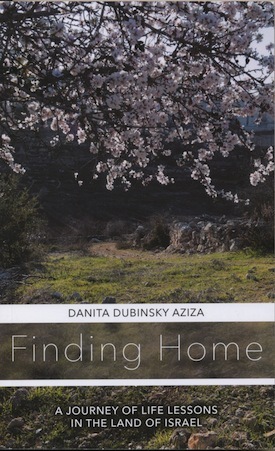 Not quite so neat – in fact, quite chaotic at times, perhaps because it is an account of her real-life experiences – is the story told through essays by Aziza of her family’s decision to make aliya, their years in Israel and their ultimate return to Canada. Aziza has done a commendable job in compiling the almost 40 essays that were initially written as stand-alone articles or blog-type pieces. Rhonda Spivak, editor of the Winnipeg Jewish Review, asked Aziza to write about her experiences for the online publication, and she did. The Jewish Federation of Winnipeg also asked her to share some of her stories on its website. Written over four years (2008-2012), each article – and now, each chapter – conveys a lesson Aziza learned, and not always the hard way. From “start slowly” (“leh-at, leh-at” in Hebrew) as a way of coping with all the changes one faces as an immigrant, to “your children are not your children” and, therefore, you need to let them make their own choices, even if it’s to enlist, to the title lesson, “finding home,” which may not be where you think it should be, Aziza takes readers on her journey. She writes with humor and with honesty, and without embellishment, a style I like very much. As she would find out, visiting and living somewhere are two very different things. Learning a new language, negotiating a foreign culture, being far from your aging parent, seeing your son enter the army and facing the prospect of your daughters following suit, building a new home (in their case, literally constructing a house) and many other factors are challenging aspects of any immigration experience. There are also many new discoveries and joys. But sometimes leaving a place – in this instance, Winnipeg – makes you realize that you might have been home all along. It’s a thought that rings true.